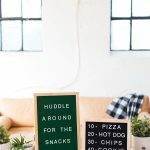 Alright you guys, we’re back with our modern football watch party ideas after chiming in to get some of your favorite recipes and traditions! 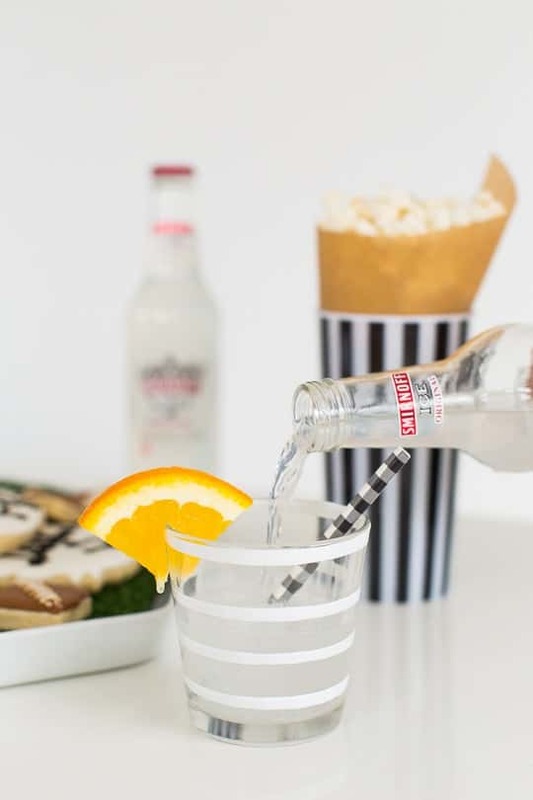 Not only are we sharing our twist on the reader favorite recipe we picked, but there’s also two DIY’s you’ll definitely want to make, a Smirnoff ICE shandy recipe that both the guys and the girls will love, and even a few bonus tips in between. 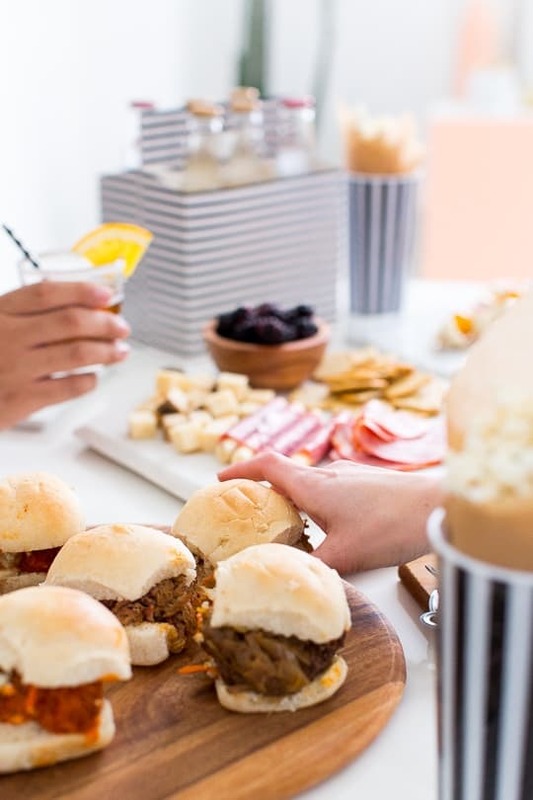 First things first, I feel that I should mention I’m mostly into the football scene to see a Jared happy, but I’m also never one to turn down an occasion for snacks and cocktails (or FANtails as we like to call it!). 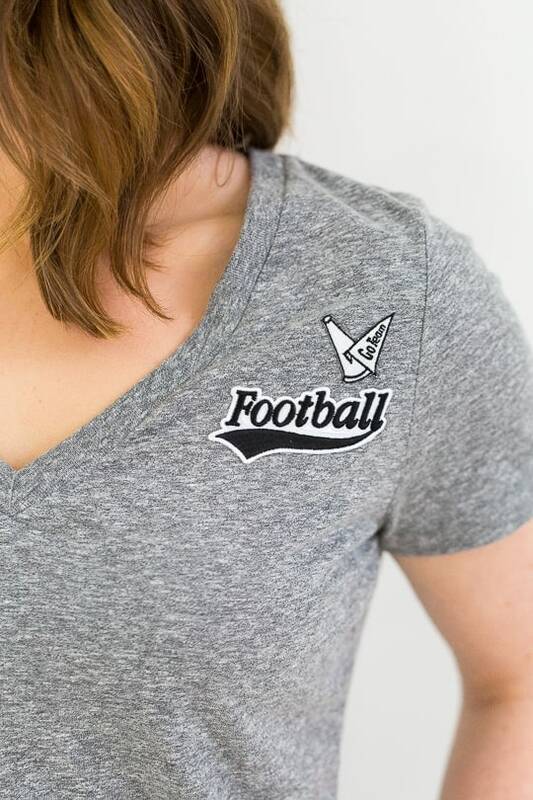 Even though I may try to avoid wearing team related football shirts to avoid having people ask me my favorite plays or players are, but I still get in the spirit with what I’ve now deemed watch party skill tees. My best skill are watching the snack table…and cocktails, but you have to share the glory here and there, so I let my good friend, Anne, take that title. Not to worry, I’ll still share my recipes with you.. 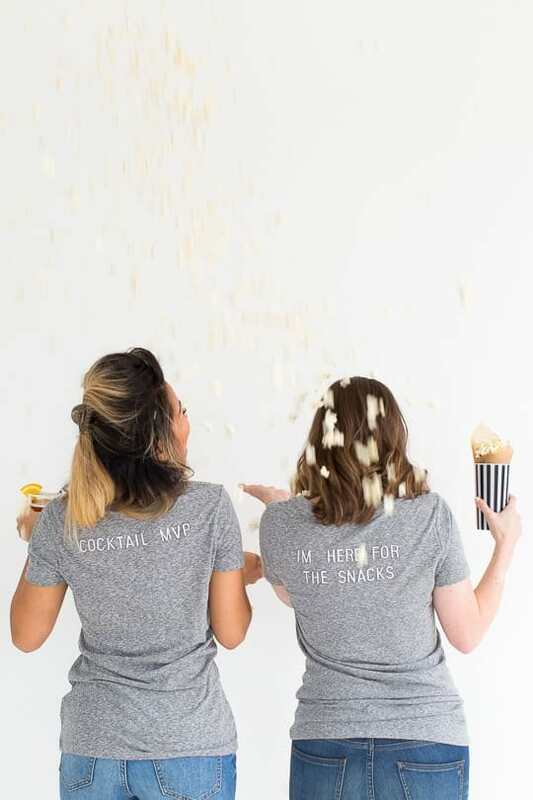 Simply pick out what phrase you think most describes your watch party skills, then place them on the tee to make sure you like the layout, then iron on. I even got a little wild and crazy and added a front patch, too. 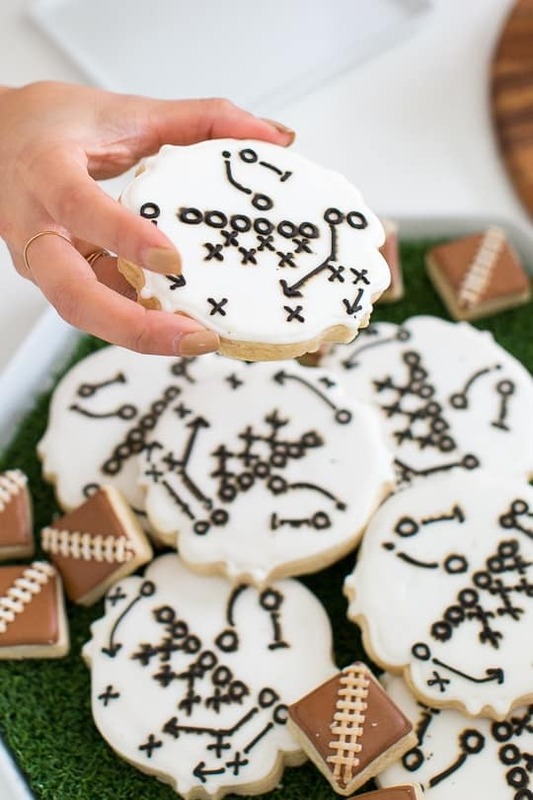 Naturally game play cookies should also always be on the table! 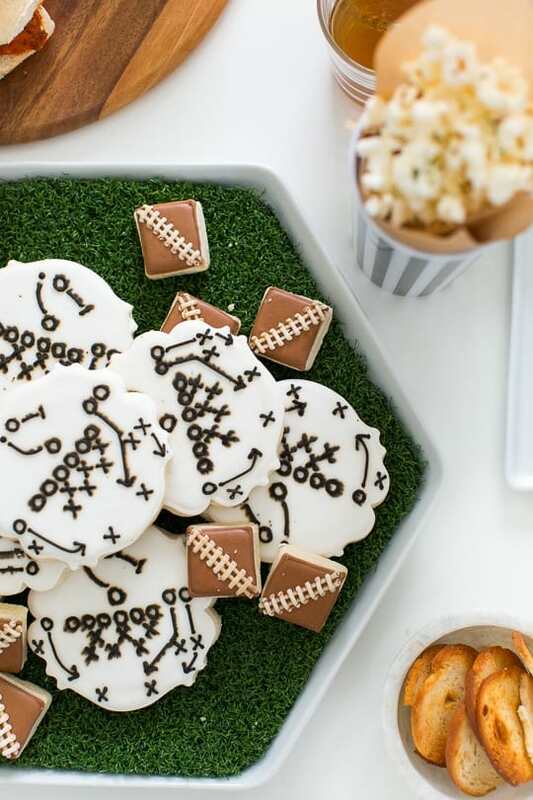 They’re sweet, and the perfect football nod to your decor. 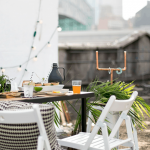 In case your not exactly a sugar cookie icing pro (neither are we! ), you can enlist the help of the pros. We got ours from The Doughmestic Housewife. 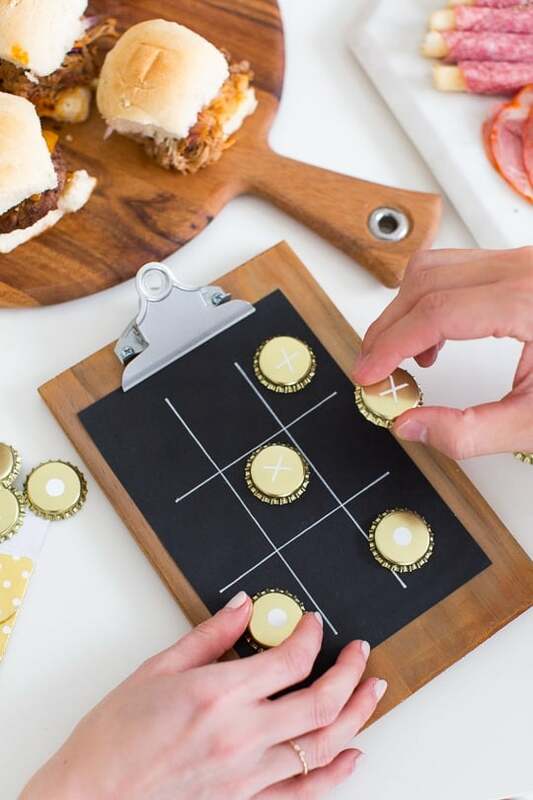 If you’re looking for something to keep entertained with during commercials, before the game, or just looking to keep the littles busy while you watch, this bottle cap tic tac toe is super simple to make and very portable. 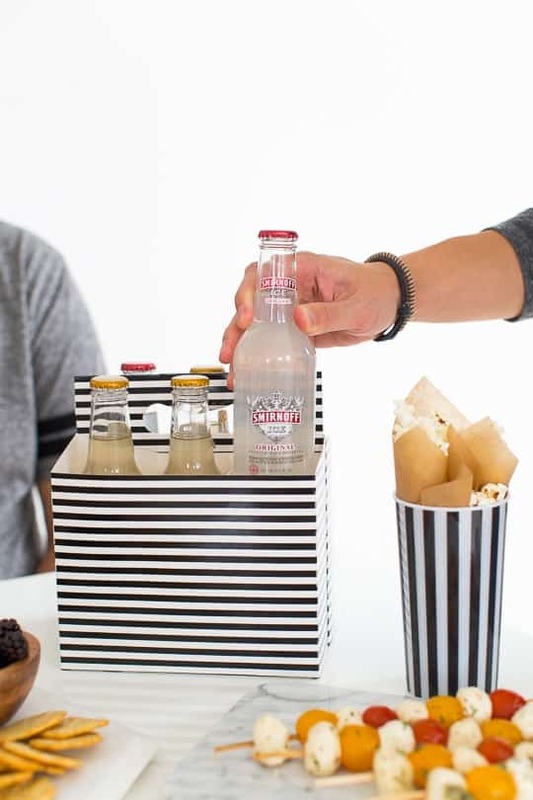 Simply draw the lines on a piece of chalk paper and clip it into the clipboard, put x and o’s stickers evenly on each bottle cap, and have at it! 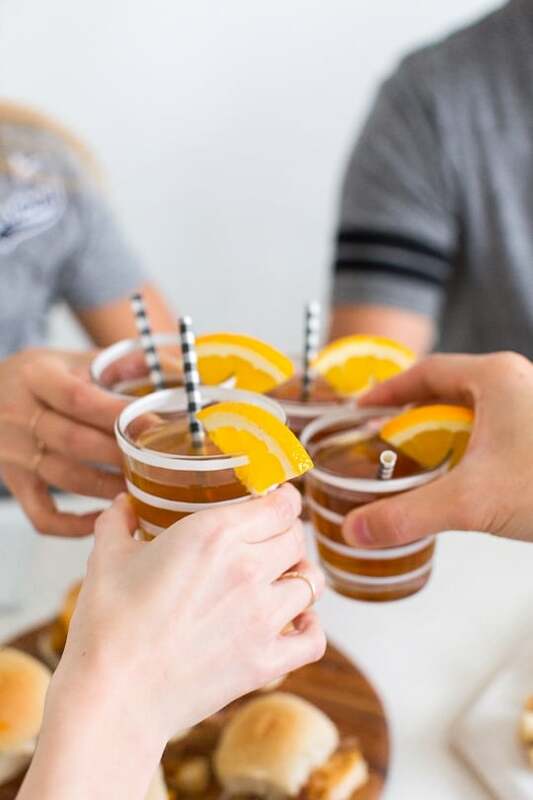 For the shandy (which is DELISH), simply mix equal parts Smirnoff ICE Original with your favorite brown ale (we used Newcastle), and garnish with an orange slice! 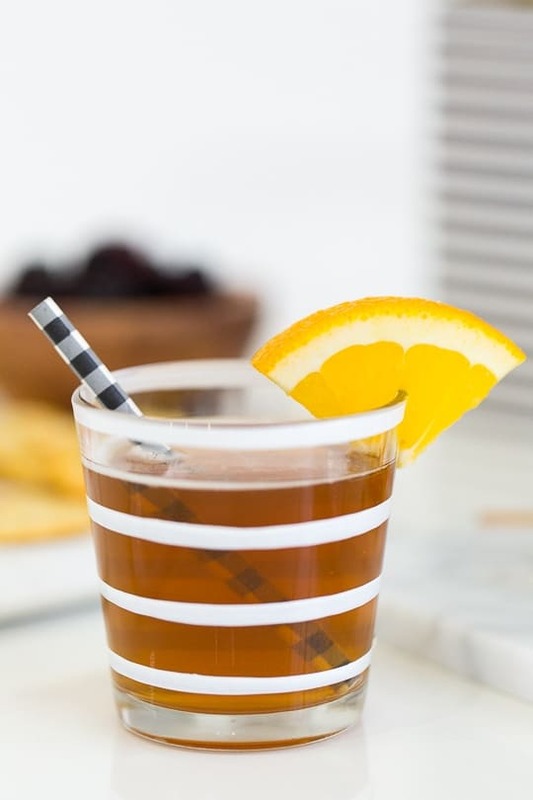 It makes the perfect quick and easy FANtail. This is our rendition of a reader suggest recipe by Ailee Petrovic (thanks for your recommendation Ailee!!). 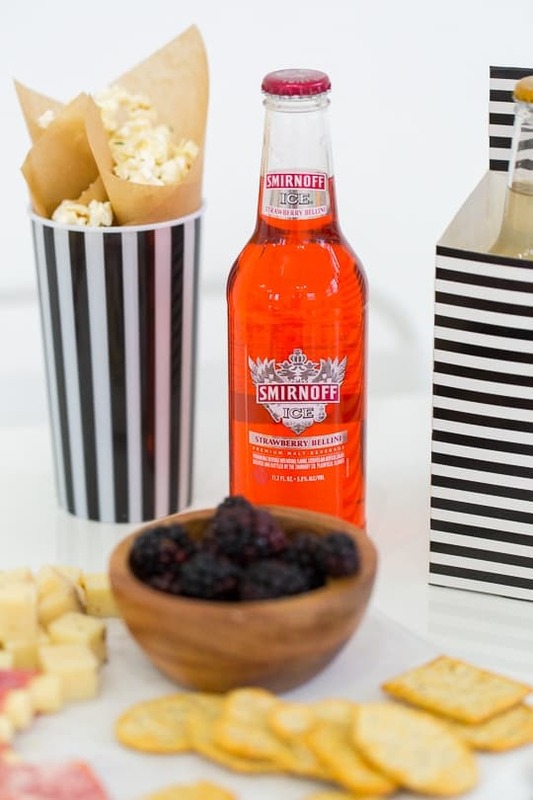 She said she always serves truffle popcorn for a little football watching action, and we figured it doesn’t get much better than that… unless you add cheese, of course! To make these parmesan parsley truffle popcorn, mix the parsley, truffle oil, parmesan and dash of salt in a small bowl. Then pop your bag of popcorn and pour the truffle mixture over top while it’s still warm, and lightly toss. We even added a bit of shredded parmesan to top them off in kraft paper lined striped cups when we served them. 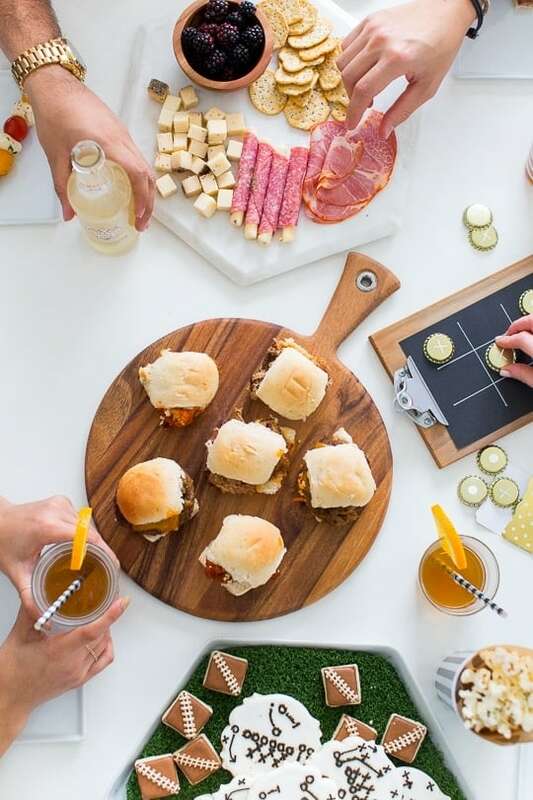 If you have any game day secrets for entertaining we should know about, be sure to let us know in the comments! 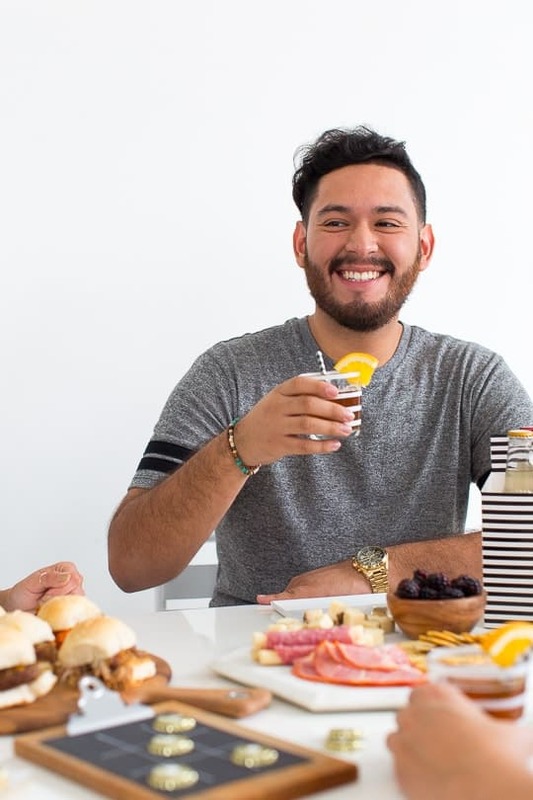 Hopefully you all got some good ideas and recipes to use for the big game this year! 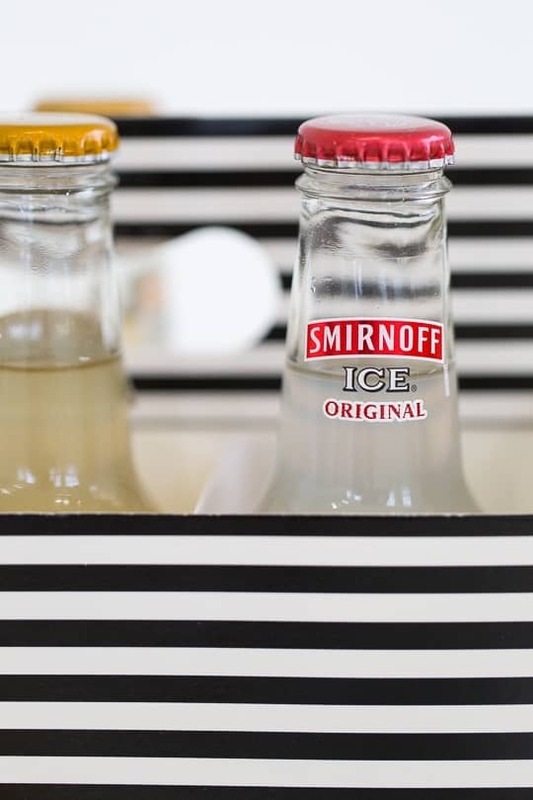 This post is made in partnership with Smirnoff ICE. 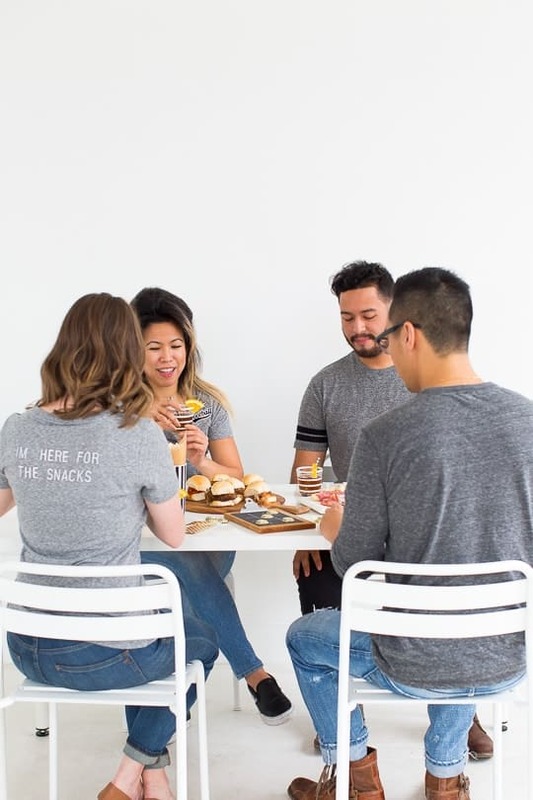 Thanks for supporting the brands that keep Sugar & Cloth running and bringing you a daily dose of DIY! All reviews/opinions expressed in this post are my own. Drink responsibly. 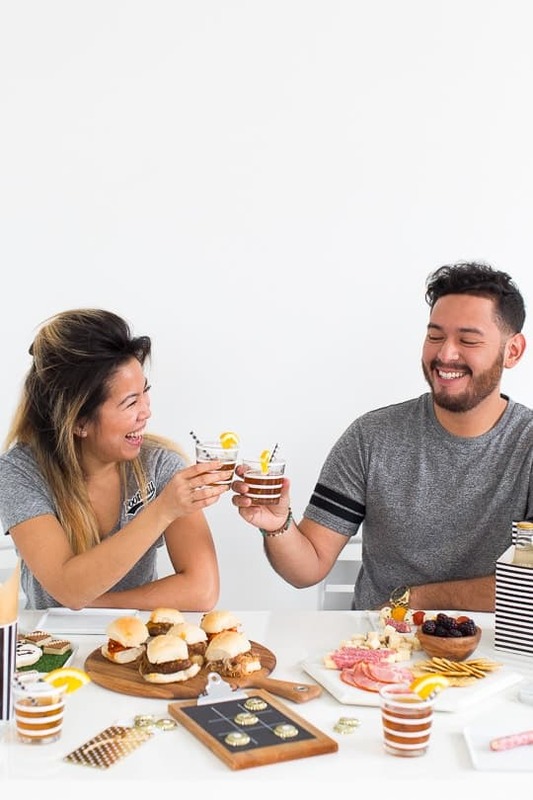 We want to feature your snack idea! Those cookies are too cute and perfect! You guys rock! 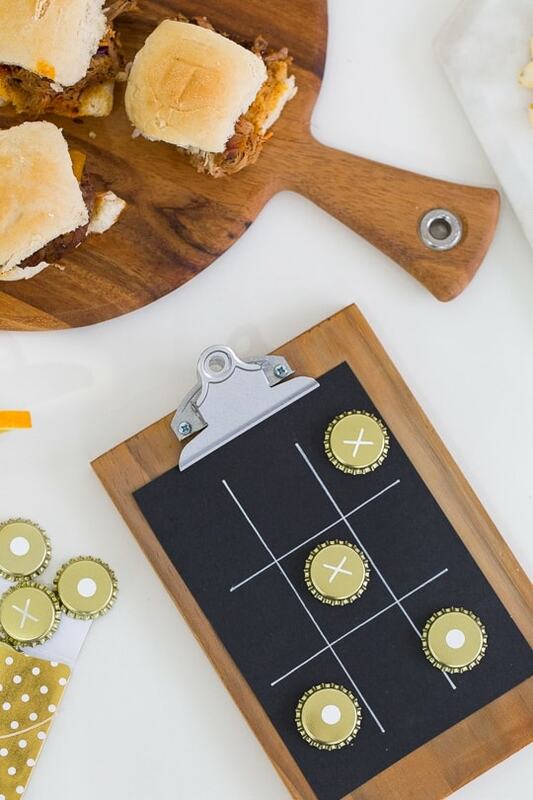 Love the bottle cap tic tac toe game, Ash. Very clever. Love those glasses! And the cookies are too cute. You’re the queen at parties, Ashley! Everything is so perfect! 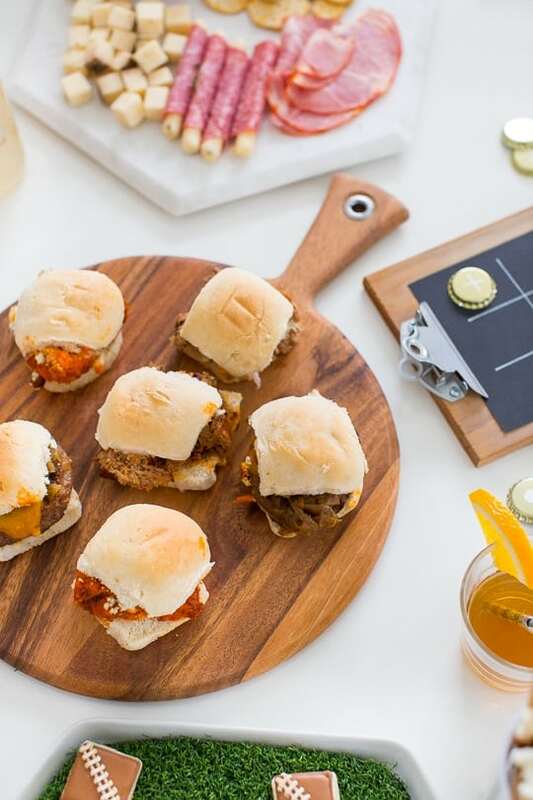 and those sliders look delish.